Once again the Chronicle returns to you with boots on the ground in the ancient homeland, the most primordial of Kingdoms, Wallia. 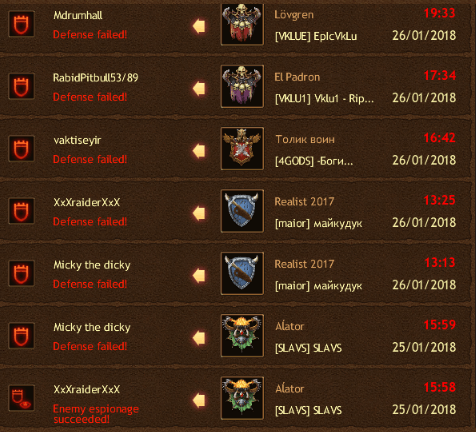 It is here that we have been chronicling marvels for the past few weeks, setting up one of our latest news branches, gathering reports and speaking to the valiant Jarls who call these historic lands home. It is here that we have seen mighty armies and riches beyond avarice. Still, this Kingdom is not all that it seems to be. We are learning of a troubling problem, a problem that it appears no Kingdom is immune to: internal infighting and wars within their borders. It is this very problem that has led to many Kingdoms crumbling entirely, disintegrating and tearing themselves apart at the seams, while their enemies slowly pick at their defenses and eventually overwhelm them. This is not a fate that we foresee befalling such an ancient and noble land, that has withstood the tests of time since inception, but as we have recently learned, it can still have dire and drastic effects. 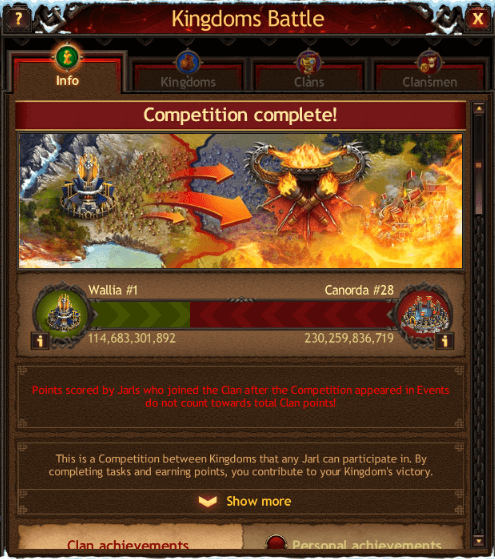 Upon hearing the news that Wallia would be entering into its first Kingdom vs Kingdom event, upon us arriving within its borders, we were overjoyed to have the luxury of bearing witness to this ancient Kingdom engage an enemy and watch the show unfold. Their foes, another ancient Kingdom known simply as Canorda. As we learned through our research and studies, the Kingdoms of Canorda and Wallia have engaged each other numerous times in both civil and not-so-civil combat. These two long term foes would once again have a chance to settle their differences, with the winner walking away with bragging rights over the other. 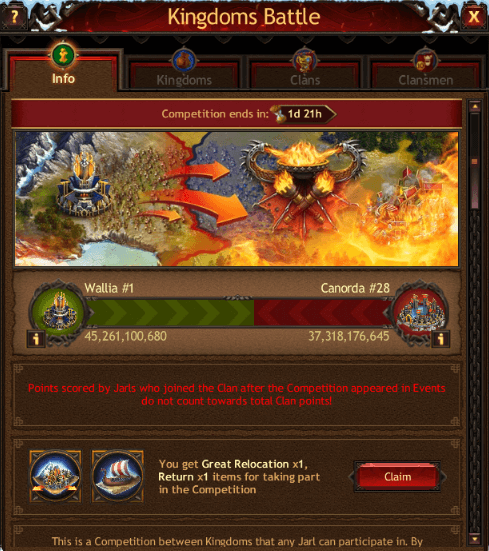 As the event started, the Kingdom of Wallia began to exert its might, with some of its most powerful clans advancing on the foe and picking off easy targets, rampaging and burning towns as they moved through the lands of Canorda. 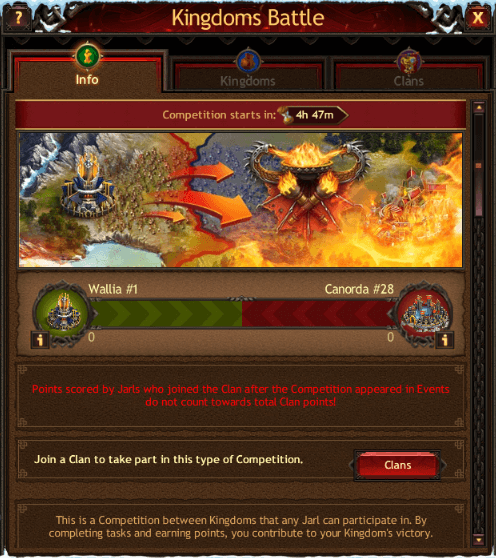 Yet, as the days unfolded, we learned that Wallia did have weaknesses in the form of their lesser clans, clans that did not have the impenetrable defenses that some of the top ranking clans had. As a result, massive armies moved in from Canorda, striking weak Hives all over Wallia and plundering vast resources in the process, netting them a huge amount of points. 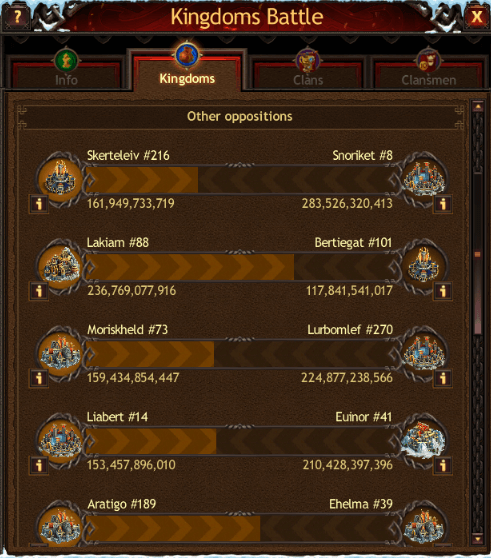 Meanwhile, other Kingdoms all over the realm engaged in their own wars, too busy to take notice of the attacks on the homeland Kingdom. As the day grew dark and the last hours of the event lingered on, it was all but certain that Wallia had fallen too far behind to make a comeback. Still, some tried valiantly, but in the end were unsuccessful. Massive armies on both sides lay battered and broken. 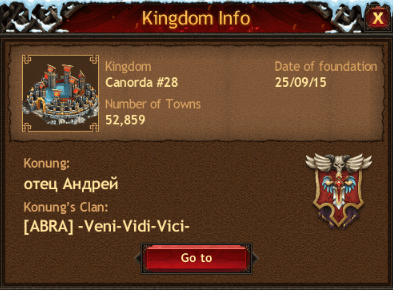 The victory went to the 28th Kingdom of its kind, Canorda. Yet, neither side in this long rivalry can truly claim victory, as the sheer volume of units and lives lost was stunning. Never before has the Chronicle witnessed such madness, chaos, and destruction. Hopefully, the gods willing, we never do again.